Stephen Boyanton is a scholar and practitioner of Chinese medicine. He is a senior researcher at the Xinglin Institute for Early East Asian Medicine Research and Scholarship (www.xinglininstitute.org) and is finishing a PhD focused on Chinese medical history at Columbia University. 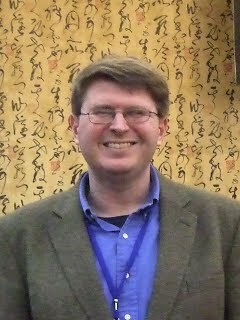 Stephen received his BA in anthropology from the University of Florida in 1995, completed an MA in Chinese religious history at the University of Virginia in 2004, and earned an MS in Chinese medicine at Pacific College of Oriental Medicine, San Diego, in 2008. He has spent more than six years living and traveling in China where he has followed senior Chinese clinicians in the clinic and sat in on graduate level courses in Chinese medicine. Most recently he spent the academic year 2011-12 as a Fulbright Fellow at Beijing University of Chinese Medicine 北京中醫藥大學. In addition to his scholarly work and teaching, Stephen maintains a private practice in New York City focused on the use of Chinese herbal medicine.